As the saying goes, success has many parents. It is something that holds true for Deworm the World, a programme led by Evidence Action that aims to end the public health threat of intestinal worms. It was at the World Economic Forum’s Annual Meeting in 2007 that Michael Kremer, an economics professor at Harvard, presented research he and his colleagues had conducted into the impact of school-based deworming. Together with Esther Duflo and Kristen Forbes, both professors at MIT, he encouraged fellow members of the Forum’s Young Global Leaders community to join them in “deworming the world”, a low-cost effort that would improve the lives of hundreds of millions of children. Intestinal worms affect an estimated 870 million school-age children worldwide, and the damaging effects on their health are well known. The research that Kremer presented demonstrated another, previously underappreciated effect: the impact on children’s education. When he and Edward Miguel (who co-authored the research) evaluated a programme that treated schoolchildren in Kenya for soil-transmitted helminths (such as roundworms and hookworms) and for schistosomiasis, they found that the programme had reduced the incidence of infection by 25% and, surprisingly, school absenteeism by one-quarter, at a cost of less than 50 cents per child, per year. Even untreated children benefited from the programme, because there were fewer worms in the environment. Subsequent research showed deworming to be an incredibly cost-effective education intervention: even the young siblings of those treated experienced improved cognitive development (equal to half a year of schooling). When the research team followed children into early adulthood, it turned out that school-based deworming increased girls’ rate of passing the primary-school exam and entering secondary school, and increased boys’ working hours and earnings when they later entered the labour market. The idea caught on with other governments. In 2009, Raila Odinga, prime minister of Kenya at the time, announced the scale-up of deworming programmes to treat 3 million of the nation’s children. Subsequently, the Indian states of Delhi, Bihar, Rajasthan and Madhya Pradesh also committed to large-scale school-based deworming. The Deworm the World initiative is now supporting a national school-based deworming programme in Vietnam, a country with a high worm burden. They are doing so in collaboration with the Thrive Network (operating in Vietnam as East Meets West Foundation). Today, the initiative is a coalition of organizations led by Evidence Action, which treats 35 million children globally, and will treat tens of millions more over the coming years. Deworm the World provides technical assistance to governments in launching, strengthening and sustaining school-based deworming programmes, and advocates for school-based deworming to policy-makers. We have much progress to report. In the past school year, Kenya’s national school-based deworming programme treated 6.4 million children, surpassing all goals. In India, state governments in Delhi, Bihar, Rajasthan treated 29 million, with the assistance of Deworm the World. 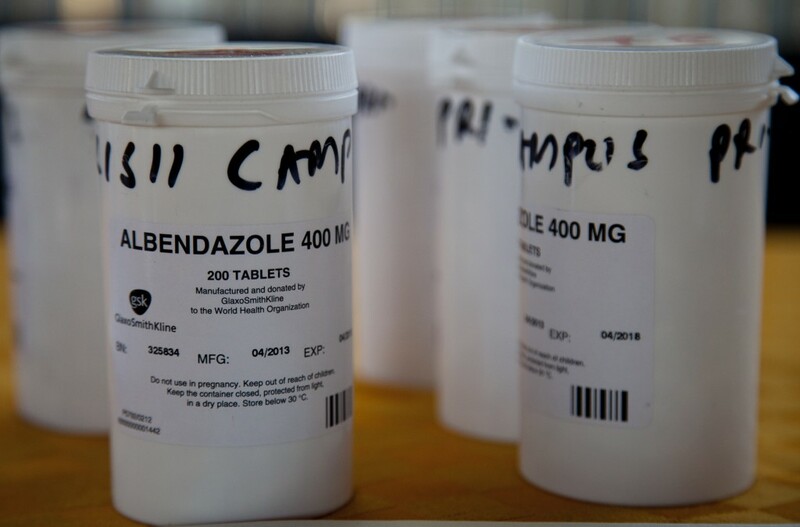 Programmes are integrated with other important initiatives, including the supplementation of Vitamin A, iron and folic acid, and the treatment of lymphatic filariasis. Evidence Action works closely with the neglected tropical diseases community to learn and share best practices. Despite these accomplishments, there is still a long way to go. In 2011, the World Health Organization set the goal of treating 75% of at-risk children – yet only about 32% of these those children (270 million out of 870 million) were treated in 2013. The effort is highly focused: there are more than 400 million untreated, at-risk children in just 10 countries, nine of which urgently need to scale up their school-based deworming programmes. These include: India, Nigeria, Indonesia, Ethiopia, the Philippines, Pakistan, Democratic Republic of Congo, Tanzania and South Sudan. Only Bangladesh has instituted national-level programmes. Evidence Action has an ambitious – yet attainable – plan to exponentially grow the Deworm the World initiative to reach more at-risk children in more countries. There are renewed global funding commitments and partners, such as the END Fund, the Bill & Melinda Gates Foundation, Dubai Cares, the World Bank, the London School of Hygiene and Tropical Medicine, and the Children’s Investment Fund Foundation – all working together to achieve these goals. The Forum launched the initiative as a coalition of partners and has kept its Young Global Leaders community abreast of progress; it also inspires them to keep contributing to the cause, which they do generously. What started as an idea among Young Global Leaders in snowy Davos is now a global movement that is bringing better futures to millions of kids worldwide. Authors: Michael Kremer is the Gates Professor of Developing Societies in the Department of Economics at Harvard University and a fellow of the American Academy of Arts and Sciences. Alix Zwane is executive director of Evidence Action. She was previously a senior programme officer in the Global Development group at the Bill & Melinda Gates Foundation.